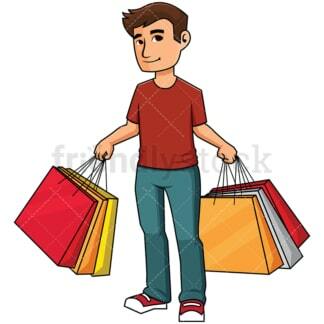 Royalty-free stock illustration of a man with brown hair, wearing a red t-shirt, and smiling while holding shopping bags in each hand. Royalty-free stock illustration of a man with brown hair, wearing a red t-shirt, and grinning while he holds three wrapped gift boxes in his lap. Royalty-free stock illustration of a man with brown hair, wearing a red t-shirt, and smiling as he goes through his shopping list. 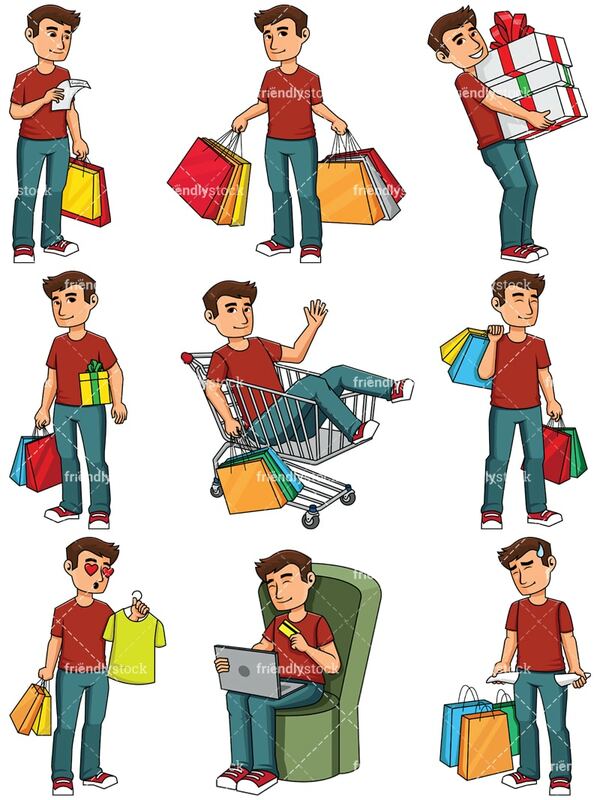 Royalty-free stock illustration of a man with brown hair smiling as he finds himself inside a supermarket cart while holding shopping bags and waving. 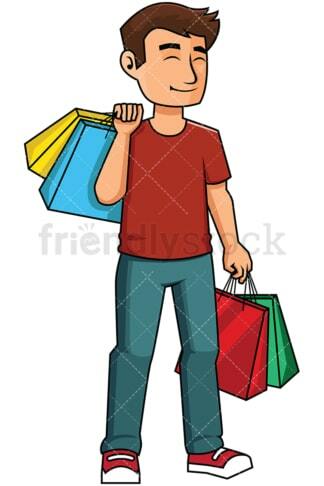 Royalty-free stock illustration of a man with brown hair, wearing a red t-shirt, and smiling as he holds shopping bags and a present. Royalty-free stock illustration of a man with brown hair, wearing a red t-shirt, and smiling as he feels satisfied after a shopping run. 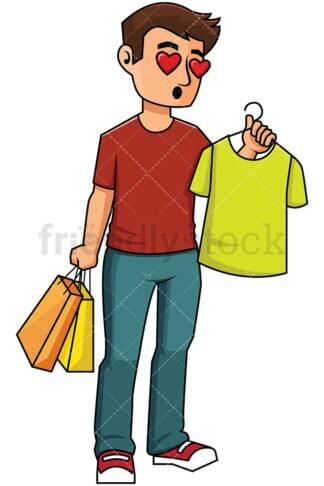 Royalty-free stock illustration of a man with brown hair holding a t-shirt while shopping and falling in love with it. He’s definitely going to buy that one! Royalty-free stock illustration of a man sitting on a lounge chair with a laptop on his lap and smiling as he holds a credit card to pay for an online order. 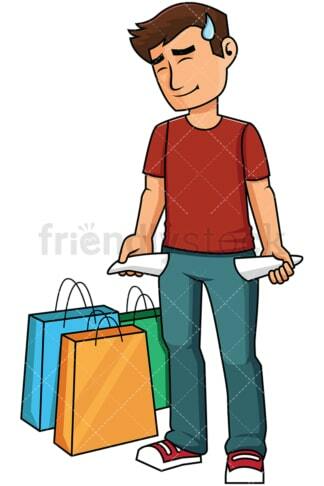 Royalty-free stock illustration of a man with brown hair, wearing a red t-shirt, and sweating as he holds his empty pockets after spending all his money shopping.